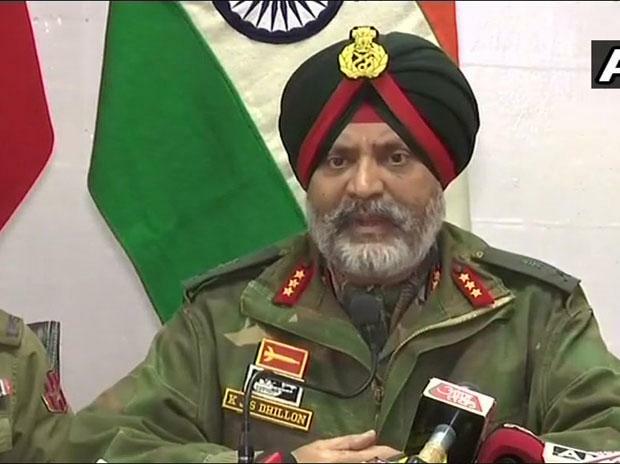 Corps Commander Lt Gen K J S Dhillon of the Chinar Corps said this in a joint press conference by IG Kashmir S P Pani and IG CRPF Zulfiqar Hasan. "Anyone who picks up the gun will be eliminated," the officer said. According to Dhillon, security forces had been tracking the top leadership of the JeM since the February 14 bombing in south Kashmir's Pulwama district. On Monday, three JeM terrorists were killed in a 16-hour encounter in Pinglan in Pulwama district, about 12 km from the site of the February 14 attack. An Army major and five others were also killed.